We’re so glad you have taken the challenge to read the Bible daily for the next thirty days. It’s going to be a true challenge, because it won’t always be easy. But as with most worthwhile choices in life, you won’t regret it. God will use Scripture to help you know Him better and to discover His wonderful plan for all mankind—His plan for YOU! As you get into His Word, you’ll begin to see how all of it fits together, with the wonderful story of God’s redemption woven through each and every book. As you read, verse by verse and chapter by chapter, you’ll begin to sense God speaking to your heart. He may give you some marching instructions for your day or awaken you to a truth you’ve never seen before or show you an area of your heart or mind that He wants to transform so He can make you more like Jesus. We hope you’re enjoying your time reading the Scriptures. No matter where you read, you’ll find that God’s Word is an extremely practical, relevant, and timeless book. Use what you learn from Bible characters’ examples—good and bad—to challenge your own walk with God. Life’s struggles aren’t meant to discourage us, but to help us grow as we apply the truth of His Word. Some of the stories in the Bible will be familiar to you, but ask God to help you read with fresh eyes. You may see something you’ve never considered before! Let Scripture reading become your daily delight . . . the joy and song of your heart. If you’ve chosen to read through the Bible from beginning to end, you’ll discover that the first books are foundational. Genesis is the book of first things. It teaches us about the origin of our world as well as the early history of God’s people. Many of the things you see in our world today—especially the ugly consequences of sin and the struggles between nations of people—are a result of what happened in that early history. History, poetry, romance, prophecy, wisdom literature . . . there’s so much to discover between the covers of God’s book, and it is all “profitable” for us (2 Tim. 3:16). It’s our prayer that your biggest discovery will be that God and His plan for the world is much bigger than you can imagine. Keep up your reading, with joy! Action Step: Today as you read, look for something you never knew before or for something that speaks to a personal need. Day 2: Hey, That’s Mine! It’s the same with Scripture reading. Perhaps you’ve heard lots of sermons or read books about the Bible. That’s great, but it’s not the same as reading the Bible yourself. It is God’s love letter to you; it’s meant to be personal. When you read a letter, you notice who wrote it, but also what they said, when they wrote it, perhaps where they were when they wrote, and even why they wrote. Follow that same observation technique as you read the Bible. Ask the questions, “Who, what, when, where, why, and how?” Look for the people involved. Look for the subject, event, or action. Try to determine when and where the verses were written. Determine why God wanted you to hear this message. Finally, ask questions for application, like: “How does this apply to my life?” “How can I change my thinking or behavior so it lines up with biblical truth?” “How does God want me to respond?” Ask the Holy Spirit to be your teacher and give you insight and wisdom. In this way, you’re not just getting into the Word; the Word is getting into you! The Word of God is alive and powerful (Heb. 4:12), and God will use it to transform your life. Keep on reading; keep on listening; keep on growing! Action Step: As you read the Bible today, ask yourself application questions like the ones above. If you’re like most people, you’re going to have favorite Bible passages. There are some we simply return to over and over again—passages in the Psalms, Proverbs, Philippians, etc. We love certain Scriptures because they speak to us in our needs, satisfy our curiosity, comfort us in struggles, etc. But have you ever heard a pastor speak about reading “the whole counsel of God” (Acts 20:27)? Every Scripture is important, because each passage has a purpose. Even those so-called “boring” genealogies have nuggets of amazing truth in them, for those willing to search them out! Discipline your life to read in an area of the Bible you’ve never (or seldom) read before, and watch God stretch your thinking. The Bible will help you know God, but it can also help you discern error, make wise choices, gain insight into human nature, understand the times, and so much more. The Scriptures will ground you in a shaky world, because you will discover God’s perspective and priorities—usually so different from the world’s. Reading the Bible is a huge adventure of faith, because God will likely give you opportunities to “try out” your new understanding of Scripture in the circumstances of life. God wants to transform you and make you more like Jesus (Rom. 8:29), and He will use His Word to challenge, encourage, and teach you, and sometimes even to warn you, because He loves you. The entire Bible is God’s precious gift to us. We hope you’re enjoying it! Action Step: Choose a part of the Bible you’ve never read before (or one you seldom read), and make note of what God teaches you through it. We all want to spend time with the people or things we love, don’t we? Think about that a moment. Do you love a particular sport or hobby? You probably can’t wait to finish work so you can take some time out for those activities. Do you love someone with all your heart—a family member or friend? It seems like you can’t get enough time with him or her, right? George Mueller, a godly man of prayer who established many orphanages in England in the 1800s once said, “The one main thing to which I attribute my lifelong happiness is that I’ve been a lover of the Word of God.” Mueller said he loved the Bible, and it made him a happy, blessed man. How about you? Is Bible reading a passing fancy, or do you genuinely love the Word of God? It’s easy to have “devotions” without having true “devotion.” Yet throughout Psalm 119, the psalmist said he delighted in God’s Word—he loved the Word! It was precious to him, his greatest joy. Does that express your heart? If not, how can you increase your love for the Scriptures? It’s simple. You need to fuel (or feed) your hunger. In other words, the more you “eat” the Word, the more you will desire it . . . and ultimately, the more you will rejoice in it (Jer. 15:16). Little snacks on the Word will help with some of your soul’s cravings, but substantive, daily meals are what really satisfy. We pray your love for God’s Word will increase! Action Step: Identify the things that sidetrack you from spending time in God’s Word. Then identify what helps you get “hungry” again. Day 5: What’s A-E-I-O-U Have to Do With It? We can approach the Word of God in so many ways, and some of these techniques help us get a fresh vision of God’s purpose in giving us the Scriptures. The AEIOU method of Bible reading and study is a fun way to approach the Word. That last letter is a key point. You don’t want to just read and go away unchanged or unmotivated. Find something to put into practice, to memorize, or to share with others. In other words, respond to what you’ve read. It’s not enough to know the truth; we need to obey it (James 1:22). We’re in your corner as you seek new ways to keep your Bible reading fresh. Action Step: Has God motivated you to respond to something you’ve read? How? Step out, and act in obedience today. Day 6: Victory Is Yours! When was the last time you thought about our victory in the risen Christ? Your enemy, Satan, wants to sidetrack you in your commitment to Bible reading, because he knows how powerful it is—but remember, Satan is a defeated foe! You can claim and live in victory every day. The power of the gospel of Christ was not just to give us salvation, but also to give us all that we need to conquer our sinful habits and tendencies to ignore the things of God that will help us grow in righteousness (Rom. 6). Do you hear the whispers of the enemy today? “You don’t have time for God’s Word.” “You can do that later.” “You’ve already read the Bible; read something else.” We need to surrender our ears to the Lord and listen to Him calling us to dig into the Scriptures. Jesus died and now lives so that you can enjoy the fullness of eternal life with Him forever. His story is told in the Bible you hold in your hands every day. But there is so much more God wants you to know that pertains to “life and godliness” (2 Pet. 1:3). Christ is risen, and He is your victory! Remember that when the enemy tempts you to ignore God’s Word. Action Step: Look for ways that God is giving you victory because of something you read in His Word. Day 7: Too Busy? Schedule an Appointment. It seems that most of us have three speeds these days—busy, super busy, and crazy-overwhelmed-coming-unglued busy! Sometimes technology comes to our aid, and sometimes it just creates more work and distractions. Perhaps you’ve found that if you don’t take time out to read God’s Word in the morning, it’s not going to happen. If at all possible, plan time with God and His Word before all other work. Quiet times are the soothing oil that makes the gears of our busy lives function. Without it, we may find our lives clogging up with busyness, anxiety, and frustration. We don’t know whether Jesus rose up early to read the Scriptures, but we do know He got up very early in the morning to spend time with His Father (Mark 1:35). But there’s no need to get on a guilt trip if your mornings are “impossible.” If you can’t make morning Bible reading work, you can always plan in a special time later in the day, scheduling it just as you would an important doctor appointment or time with your family or friends. The important thing is to make a plan and follow through. While we’re thinking about our busy days, take a moment to ask this question: “Is there anything I’m doing that I could set aside for a while or give up entirely in order to make more time for Bible reading?” Maybe it’s a television show (or several). Maybe it’s time on the Internet or with Facebook. Watch out for time killers. If you want to read more, you can! We’ll pray that you will in the days ahead. Action Step: Look at how you spend your time, and identify any time killers that keep you from reading the Bible. What can you change or eliminate from your schedule? Day 8: When Not to Steer Clear . . . When we have offended someone, we tend to steer clear of them. We don’t want to be reminded of our offense, insensitivity, or sin. The same is true with God and His Word. Christian author C. S. Lewis once said, “Either the Bible will keep you away from sin, or sin will keep you from the Bible.” The truth is, when we are living in sin or harboring a secret sin, we don’t want the Word of God to remind us of our shortcomings or how we are failing to obey God—so we avoid His Word. God may have spoken to you about a specific sin that is clouding your view of Him in the Word. We encourage you to take care of that with Him. His Word is part of the cleansing process (John 15:3). Don’t let sin keep you away from the Bible. Keep the way clear! Action Step: Is there any sin that’s clouding your vision of God? Ask Him to search your heart and show you anything you need to confess. Day 9: Can’t Concentrate? Try These Ideas! Do you struggle with concentration as you read the Bible? A practical way to help you focus is to write things down in a journal or on paper in a notebook. You can simply write out portions of the Word of God that speak to you—or passages you want to memorize. You might want to write out topics you want to research from your reading. Maybe you can write out your personal responses to what you’ve read or insights and wisdom God gave you. You can do something as simple as the “S-A Method,” which stands for Summary-Application. Write down one or two sentences that summarize what you’ve read and then one or two sentences of personal application—how the Scriptures spoke to you or what it meant to you or what God asked you to do as a result of the reading. If you don’t want to write in a journal or notebook, you might at least use a simple marking system in your Bible. You can circle repeated words or phrases, and develop your own code for quick reference—such as drawing a heart next to any verse that deals with the heart or a smiley face next to a Scripture about joy. You might want to write down the date next to a Scripture God used in your life on any particular day. The point is, try to interact with the Scriptures. This simple practice will help you concentrate, and when you’re done, you’ll have a record of your time in the Word. Blessings to you as you read and record the lessons God has for you today! Action Step: Choose a method that helps you interact with Scripture, and start using it today. When we were children, many of us heard our teachers say, “Put your thinking caps on.” Our teachers wanted us to pay attention and consider what we were learning. This is how we should approach the Word of God. We don’t skim quickly over the words; we take time to read the Word carefully and thoughtfully. Stop as you read . . . pause . . . think about what the passage is saying. Let the Word of God absorb into your system as you take time to dwell on key phrases. Ponder the words—mull them over in your mind. Read the Scriptures as a gift and love letter, a precious text from your Father God. Take time to meditate on them. Fix your thoughts on what the Word is saying with the goal of knowing God, His words, His ways, and His will. God promises success to those who meditate on His Word (Ps. 1:2–3; Josh. 1:8). Also, many of the psalms were the psalmists’ meditative thoughts put to music, and they bless us as we read them. Try putting Scriptures to music or singing them. Another way to meditate is to memorize Scripture, so you can think about passages anywhere, anytime. For some help, check out the Scripture Memory section on our website. When it comes to Scripture, there are many ways to “put on your thinking cap”—try them all! Action Step: Choose a Scripture passage that’s meaningful to you, and start committing it to memory. Day 11: They’re Watching You Read! How are you doing with your reading? The reading of Scripture is a blessing and encouragement to your own hearts and one way to honor God, but did you know that when you spend time reading the Bible, you may be influencing others? Whatever you spend time doing in life indicates to others what you value most. Those who know you best will see your commitment to the Word of God and know you value the Bible and your time with the Lord. Every one of us is leaving a legacy for the next generation. The Bible you mark up as you read, your journal notes, and even your quiet times with God—observed by your family or friends—are a living legacy of faith. And even if you have no one in your home to observe your daily practice, know that God is watching. He is your most important audience. He knows how much you love Him and His Word when you spend time reading. You can be a woman of influence—a woman of living faith—every single day! Action Step: Look for a way to start leaving a legacy to someone you love. Day 12: He Wants to Spend Time With YOU! Have you ever kept a friend waiting? Or perhaps, you waited for a friend to arrive—and when the friend never came, you left, disappointed. The wonderful truth is that the Lord is always waiting for you, no matter when you come into His presence. He is longing for your company. Your quiet time with Him in prayer and your time reading the Word are how you enter into His presence. Our friend, pastor Bill Elliff, once said, “Everything flows from the presence of God.” Everything you need comes from resting in God’s presence—His power, peace, provision . . . everything! Have you found it true that when you read God’s Word, you always find something that you can apply to your life? Maybe a story about a Bible character’s struggle gives you hope or a psalm comforts your anxious spirit or a teaching from Paul gives you understanding about your finances or relationships. There is so much to glean from the Scriptures. The psalmist said, “My hope is from him” (Ps. 62:5). When you come to your Bible reading time, come with the expectation that God wants to give you something or teach you something. Ask Him to speak directly to your heart with a clear message. Are you eager to spend time with the Lord today? He is always waiting. Action Step: Have you sensed God’s Spirit asking you to do something? Today is the time to take action. Day 13: Making a Difference! We like to know that what we are doing makes a difference, don’t we? We don’t want to feel that we are just spinning our wheels, going nowhere. The good news about Bible reading is that when you are consistent, you will see four practical effects of spending time in the Word. First, when you read God’s Word and commune with Him, your heart will be brought into submission. You will sense the need to adjust your will to agree with God’s will. Second, God will give you direction. No matter your season in life, God will offer wisdom for your relationships, your finances, your work, your habits, your choices, and so much more. Just ask Him for it (James 1:5)! Third, God will bring things to your attention as you read that can be turned into prayer requests. Maybe you’ll read about anger, and pray for an angry relative or coworker. Maybe you’ll see an example of servanthood, and ask God to make you a better servant. Fourth, you will experience transformation, becoming more like Christ. We tend to take on the characteristics of those we spend time with or are close to; when you look into the Word of God, you will behold the glory of God (2 Cor. 3:18) and see ways that you are not like Him. You will see how much you need to grow in godliness. God wants to use His Word in us, but we have to spend time with Him! Action Step: Has the Word of God made a difference in your life in any of these four areas? Share it with someone. Do you sense how important the Bible is to daily living? Unfortunately, many people tend to think of the Bible as an “add-on” to life rather than a vital central core. If you have ever made a cup of tea, you know what infusion is. When a tea bag is placed into hot water, the tea infuses into the water—it becomes part of the water itself. In a similar way, your faith will be transformed by the consistent infusion of the Scriptures into your heart. Some women are content to carry the Word of God with them to church every week; others want to be identified as women of the Word. The Word becomes part of who they are. The third “we will” commitment statement of the True Woman Manifesto affirms women’s desire to behave in ways that reflect the truth of the Scriptures. It says, “We will be women of the Word, seeking to grow in our knowledge of Scripture and to live in accord with sound doctrine in every area of our lives.” Can you say, “Yes, Lord . . . that’s what I want!” to that statement? Do you want to grow in knowledge of the Bible and embrace the sound doctrine of Scripture? The incredible truth is that you will never know God any better than you know His Word, and beyond that, the Bible can protect you from sin, guard your heart, renew your mind, and refresh your spirit. It’s vital to your faith and growth! Are you a woman of the Word? Let it infuse your life today! Action Step: How have you seen God’s Word become a part of you? One of the blessings of reading the Bible is that it helps to build a firm foundation for the future. The truth is, it’s harder to build the foundation of your spiritual house after a storm starts. You build it long before a storm comes. You build it now. In Matthew 7:24, Jesus said that if anyone hears His words and does them, he is like “a wise man who built his house on the rock.” We build on the solid rock of the Word when we listen and obey. It’s foolish to just read the words of God with no intention of obeying Him. If we have a flimsy foundation, we won’t be able to stand in times of trial. Every one of us will face varying degrees of struggles. Disasters and crises come to each one of us at some time in our lives, but those who have a strong foundation will be able to stand. A strong foundation includes knowing God as He reveals Himself in the Word, knowing His plan for salvation through Christ, and knowing His will for us in daily living—a godly perspective. An old hymn says, “How firm a foundation, ye saints of the Lord, Is laid for your faith in His excellent Word.” How strong is your foundation? Is there some part of your spiritual foundation that is weak or crumbling? Don’t be afraid to reach out for prayer. Commit yourself to reading the Word of God, and ask God to firm you up! Day 16: Who Are You Turning to for Advice? One of the blessings of reading the Word of God is that we have the opportunity to receive counsel from the Lord. We can ask God to counsel our hearts according to the Word of God—the Word of truth—and enable us to understand it. The Bible says that Jesus is our “Counselor” (Isa. 9:6), and the Spirit of God counsels us, as well (Isa. 11:2), giving us wisdom and understanding. It is the Spirit of God who illuminates and interprets the Word of God for our hearts and minds (John 16:12–13; 1 Cor. 2:9–12). The counsel of God and His Word is precious. Thank Him for it today. Action Step: Write down how God has counseled your heart and given you a greater understanding of His Word during this challenge. Our schedules seem to gain momentum even after they’re already full, don’t they? The danger is to just go through the motions of spirituality instead of communing with God in His Word and seeking His direction for each day. Remember that you are on a pilgrimage with God, and accepting your reading challenge today is as important as it was on Day 1. If you are discouraged in your reading because you’ve succumbed to the rush, don’t despair. You can start fresh today. Proverbs 24:16 says the righteous man falls down seven times and gets up again each time. Don’t give up, Friend. Get up, get your Bible, and get going again. Action Step: Has God enabled you to be faithful in reading the His Word? Did He remind you of your commitment, or clear your schedule to give you more time? If so, thank Him for that. How are you doing with your reading? One thing we’ve learned is that your enemy, the devil, doesn’t want you to enjoy your Bible reading. He doesn’t want you to grow spiritually. He doesn’t want your life to be transformed as you renew your mind (Rom. 12:2). That’s why it is so important to saturate your time in Scripture reading with prayer. Before you read, ask God to open your eyes and give you understanding. Ask Him to reveal Himself in the Word and show you His heart and ways. As you read, ask God for wisdom—ask Him to teach you. Be a learner. Ask the Holy Spirit to make the words come alive in your heart make the words fresh to you. Acknowledge your dependence on the Spirit of God. And then, as you end your time with the Bible, ask God to help you obey and respond to the truth you read. Pray for a submissive heart. Confess any sins God has revealed to you during your quiet time. Ask God to help you live a life that is consistent with the Word of God. This prayerful approach to Bible reading will help you focus on the Lord and His will, rather than your own desires. It is our prayer that God’s Word will become more meaningful to you every day. Action Step: Try this prayer approach before reading Scripture. Did it change your thoughts as you read, or how God spoke to you about His Word? Jesus didn’t say “serving is necessary,” or “singing is necessary,” or “giving is necessary”—no, He said this one thing is necessary—listening to what He says . . . really listening, with the intent to obey. Everything else we may do for God may be good, but reading the Bible to hear His voice is necessary. It’s foundational and essential. Mary made the choice to sit at Jesus’ feet, to hear His words, and to worship Him; and Jesus said her good choice would “not be taken away from her.” What she gained in hearing His words would last. As you make the choice to read the Word of God, realize anew that God is talking to you and that what you are learning will stick with you. God will use it in your life so you can stand and be strong as a believer. Are you a warrior woman when it comes to the Word of God? Sometimes we have to go to battle to protect our time alone with the Lord. There are many good things we can do—for ourselves, our families, our friends, our community, and our church—but we won’t be fruitful and we won’t be a threat to the enemy’s agenda for our lives if we’re not taking time to be alone with God. So how do you “do battle” and protect this precious time with Him? First, get prepared. Start the night before! Prepare your place and materials (Bible, journal, pen) so it will be ready. Second, get a plan for a regular routine, a habit connected to a time and place, and as regular as brushing your teeth or eating dinner. Third, get alone. Follow Jesus’ example (Mark 6:45–46) and be sure you are alone and undisturbed. For us, that might mean turning off the radio, television, and other distractions. Fourth, get creative. Don’t be afraid to try new things or adjust how you read. For example, if you’re reading through a difficult part in the Bible, you might also want to read a few verses in another passage to encourage your heart. In other words, don’t throw out a routine just because it’s a routine. Keep it fresh! Bible reading is so crucial. Be a warrior woman, and protect that time with God! Action Step: Ask God if there is something new you can do to protect your quiet time of reading. Are you enjoying your reading? Is what you read sinking deep into your heart? In Luke 8, Jesus told an interesting parable about four kinds of soil. A sower sowed seed, and some fell on a hard path where it didn’t take root; it was trampled and birds ate it. Some fell on a rock, but as the seed grew, it withered because there was no moisture to keep it alive. Some seeds fell among thorns and were choked out. But some fell into good soil, and the seed grew and yielded a big harvest. If we listen with the ears of our heart, we’ll understand that the seed was the same in each case, but it was not “received” in the same way. The seed represents the Word of God, which is necessary for salvation but also for growth. The condition of the soil of your heart will make a difference in how you receive the Word of God. Sometimes the Word enters a hard heart. The Word just stays on the surface and doesn’t penetrate the heart. Sometimes the Word is received with joy, but there are no deep roots because the truth isn’t watered daily. Sometimes the cares, riches, and pleasures of life choke out growth and there is no maturity. But when the seed falls into a heart that is eager to hear from God and obey Him, there will be fruit. It may take time to develop, but it will come. Guard your heart, and prepare it for the precious seed of the Word! 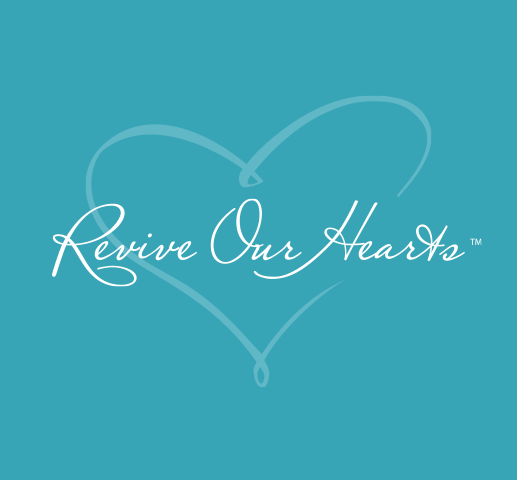 Action Step: Is your heart ready to receive the Word of God? If not, ask Him to prepare your heart and allow the truth to take root and produce a harvest. Day 22: If Not for God’s Word . . .
Have you noticed how your time in the Word has grown increasingly sweeter over the past few weeks? You are on the final stretch of this challenge now, and God can give you strength to complete it! As we move toward the end of the month, let’s take some time to actively thank God for His Word. Did you know that one of the ways you can express your gratitude for the Scriptures is to spend time reading the Bible? It’s true. We spend time with the people and things we love and are grateful to have. A relationship with God Himself! God’s power to overcome sinful habits. Understanding of God’s character and heart. A perspective of hope for a crazy, mixed-up world. Understanding of God’s provision and protection for His people. I’m sure you can think of other reasons to be grateful. Bible translators have worked for years and years to get the Bible to people groups all over the world, because they knew how much everyone needs to hear the story of salvation. When many of these native people receive a Bible in their own tongue, they have tears in their eyes. They are so grateful. You may have many copies of the Bible in your home, but people in lands where the Bible is rare or banned are grateful for even a page or two. Are you truly glad to have the Bible? Have you told God “thank You” lately? Action Step: Make your own list of things you’re grateful for because of the Bible. Life never lets up, does it? To-do lists lengthen and are replaced with more to-do lists. Sometimes, even the weekend doesn’t provide much time to catch your breath. Some things go on like clockwork. Bible reading will go by the wayside if you haven’t established it as part of your regular routine, but if you have made time in the Scriptures as crucial as your daily meals, you’ll be more likely to keep doing it. If you’re not careful and intentional to keep first things first, the nagging pressures of the urgent will crowd out your time with God. But today is always the perfect time to realign your priorities. Do you consider food for your “inner man” as much of a priority as your daily meals? Feast on the Word today! We know from letters we’ve received that many of you are blessed by your Bible reading. What an answer to prayer! God wants the Word to be your very life (see Matt. 4:4). He wants to continue to revive you in the Word. We can live in light of the Word one minute, and depart from it in the next. We need to have fellowship with God all day, because without Him, we can do nothing (John 15:5); but we need to intentionally walk in the light of the Word (Ps. 119:105) as children of light (Eph. 5:8), or we will stray into darkness. It’s an ongoing process for every child of God. God also wants to use the Word of God, flowing through your life to others, to dispel the darkness in your corner of the world. Use the Scriptures personally, practically and powerfully, shedding light wherever you go! Spend some extra time in the Word today to celebrate the blessing of the Scriptures in your life. Action Step: Look for ways that God has given your light for your journey. When we add music and worship to our time of reading, it can serve as a precious aid toward worship. Just as you gather materials and resources for in-depth Bible study, you might want to grab a hymn book for your Bible-reading time. Something you read may bring a hymn or spiritual song to mind, and you can stop and “make melody” in your heart to the Lord (Eph. 5:19). If you don’t have a hymn book, you might find the music you’re looking for at The Cyber Hymnal. As you read about how God takes care of His people, you could sing “Great Is Thy Faithfulness.” When you read about the cross, “Amazing Grace” might come to mind. If you prefer, you can begin your reading time with music on your CD player or iPod. Music will get your mind and heart in a right frame of mind to be receptive to the Word. Or you could end your quiet time with music for some lingering “takeaway thoughts” for your day that you can sing over and over again. Action Step: Choose a song you would like to meditate on today. Do you sometimes feel you are “just reading” the Word? It’s a common problem. God wants us to listen with the intent to obey. An opening prayer can encourage you each day, because your receptivity will be increased as you invite God to work in your heart and to prepare it—like cultivated soil—for the seed of the Word. Open my eyes, that I may behold wondrous things out of your law. . . . Give me understanding, that I may keep your law and observe it with my whole heart. . . . Make me to know your ways, O Lord, teach me your paths. Lead me in your truth and teach me, for you are the God of my salvation; for you I wait all the day long. . . . ‘Teach me what I do not see; if I have done iniquity, I will do it no more’ (Ps. 119:18, 34; 25:4–5; Job 34:32). Read . . . listen . . . obey. It’s a beautiful sequence. Action Step: Take time to pray today before you read, asking God to prepare your heart to receive His Word. Day 27: Try a “Megadose” of the Word! Do you feel you are reading and reading and “getting nothing” out of the Word of God? One of the reasons for that is we simply don’t read enough of the Bible in one sitting. We’re too content with “snack bites” of Scripture. Instead, try to get a “megadose” of the Word of God, no matter how busy your day. What you get out of the Bible might depend on what your goal is as you read. Are you reading to cover a lot of territory and “get finished”... or are you reading to “find God”? If you get through the entire Bible, but you don’t get to Him, you’ve missed the whole point. Dig for the treasure hidden in the Word (Prov. 2:3–5). Another way to get more from the Scripture is to respond to it. When God shows you something, teaches you something, or warns you about something, respond to God in prayer or write down immediately how you will respond. Maybe you read about the children of Israel forgetting God, and the Spirit of God prompted you to examine your own heart. Decide right then how you will not forget the Lord. Take your megadose of Scripture today. You won’t regret it. Action Step: Write down your response to what you’ve read today. As you read the Word of God, there are many potential results. You might become more spiritually literate, knowledgeable about biblical stories and truths. You might be motivated to do something with what you’ve read—to teach, to counsel others with biblical truth, etc. You might find something in your life changing, because you see that your lifestyle doesn’t quite line up with the Scriptures. What you believe will eventually affect action . . . or to say it another way, the way you live reveals what you really believe. Truth will always make a difference in your life. It’s not to be stored away; it’s to penetrate the core of who you are. Pause and think about this a while. What are your core beliefs? How many of them come from the Word? How many align with the truth of the Word? God’s Word is truth, and it’s not going to change. It is our hearts and minds that must change. The enemy wants us to believe many lies, but when we are armed with truth, we can confront those lies and find freedom through the power of the Scripture. What does your lifestyle reveal about your beliefs? Time to read some more truth? Action Step: Has God shown you that something you used to believe was actually a lie? What is the truth? Day 29: You're Almost There! Can you believe how quickly this month has passed? The daily commitment to read the Bible may have been hard, but what a blessing you’ve received! Any struggles you’ve experienced have been worth your time and effort. We all instinctively know that rewards are good motivators, and the Word of God speaks of rewards. Everything done through the power of the Lord will earn rewards that last! The Bible says that Jesus will give rewards to every person according to the work they have done for Him while living on earth (Rev. 22:12; 1 Cor. 3:8). God has taken notice of your hard work to read and learn. Take a moment to think about what you have learned as you’ve read the Bible this month. This 30-day challenge is closing soon, but this is just the beginning of a newly-formed habit of being in the Word! Studying the Word of God isn’t an activity we do once and master; it’s a lifestyle change and commitment. Just as you surrendered to the challenge to read the Scriptures, surrender now to continue obeying God in everything He has taught you. Let your heart be revived in His Word (Ps. 85:6). To God be the glory; He has done great things! Action Step: List out your spiritual goals moving forward after this challenge. As you get into the Word today, remember that the entire purpose of the Word of God is to help us see and experience God in all His beauty and glory. From Genesis 3:15 until the cross and the empty tomb, and then all the way to the promise of Christ’s return in the book of Revelation, the Word is united by the thread of God’s radiant majesty. Isaiah 43 tells us we were created for God’s glory. This isn’t selfish of God—on the contrary! He expresses unimaginable love to us by directing our attention to Christ’s majesty, to give us fullness of joy as we meditate on Him (Ps. 16:11). We were designed to worship Him now and throughout all eternity; nothing short of His presence can satisfy our thirsty hearts. Have you seen this thread of God’s glory in your reading throughout the past month? Take time to see Jesus as He is—as the King of King and Lord of Lords, your Savior, the coming Prince of Peace. Perhaps you have seen Jesus more clearly and known Him more intimately this month. Action Step: Take time to praise Jesus for who He is. Share Your Encouragement with Others! How has this challenge changed your heart and life, dear friend? Did God encourage you as you read His Word? Were there difficult days where you simply needed to leave the results to God? Remember that God is faithful, and He will bless you for your willingness to obey Him. One thing is sure—you will never be the same because of your commitment to be more like Christ! Would you take a moment to share with us how this challenge has affected your life?